Many of us know people who have been involved in accidents involving passenger cars in Michigan. What’s much less common – although much more deadly – though, are accidents involving large trucks, including semi-trucks and tractor-trailer vehicles. When these accidents occur, the damages suffered by victims and their families are often tragic. At the law offices of Nickola & Nickola, our experienced Michigan truck accident attorneys can help you and your family when you have been involved in a truck accident. Contact us today for your free consultation. If you do not file your claim within three years’ time, you may forfeit your right to damages entirely. Filing a claim may also protect future victims; for example, if the truck accident was caused because of a vehicular breakdown due to lack of proper truck maintenance on the part of the trucking company, the trucking company should be held liable, and changes to the company’s policies regarding maintenance should be made. Take your case to court and litigate on your behalf. What Happens During My Free Truck Accident Consultation? We start each case that we handle with a free consultation. During your free truck accident consultation, you can tell us more about your accident, what happened, who you think is to blame, and the damages that you have suffered. We will ask you for details about the accident and your injuries. Your free truck accident consultation is also an opportunity for you to learn more about our legal team and services, as well as what happens during the claims process. We will answer any questions that you may have, and there is no obligation to hire our law firm moving forward. 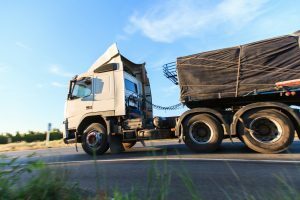 When you are involved in a truck accident in Michigan and suffer serious losses, having an advocate on your side may provide you with a sense of comfort and security as you navigate the process of recovering damages for your losses. Please contact our law firm today to schedule your consultation and take your first steps on the path of recovery.